We all know that DNA evidence can make or break a forensic investigation, but it's not uncommon for police to encounter DNA at a crime scene that doesn't match with entries in any DNA databases. But what if police didn't need any databases to track down a suspect? 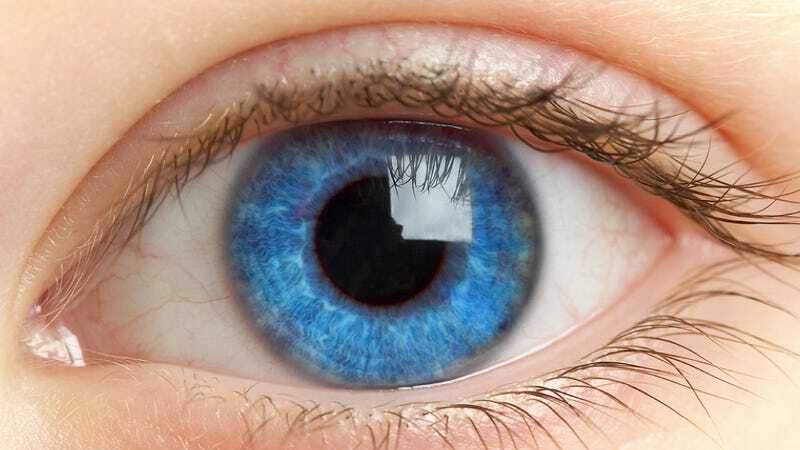 A team of Dutch scientists has now developed a genetic screen, called IrisPlex, that can help police determine with 94% accuracy whether a suspect has blue eyes or brown, just from a sample of their DNA. Is this the dawn of a new era in forensic investigation? IrisPlex works by searching for single-letter differences in your genetic code called single nucleotide polymorphisms, or SNPs, that are strongly linked to eye color; the genetic screening kit searches for six of these SNPs in total, labeling them as blue, brown, or undefined (undefined corresponding to an intermediate color like green or grey) as it evaluates the DNA under scrutiny. According to Manfred Kayser, the scientist who led the team responsible for IrisPlex's development, the kit is the first to be approved for forensic casework that will help police identify potential suspects based on the prediction of an "externally visible characteristic," or ECV — though IrisPlex is still not accurate enough to secure a court conviction). Looking to the future, will we see more and more technologies like IrisPlex emerge that are capable of predicting other ECVs? Imagine a DNA-screening toolkit that uses genetic information the way a sketch artist uses eye-witness accounts to create a composite sketch that depicts features like the size of a nose, the shape of a jaw, and the height of someone's cheekbones. Such genetics-based predictions are obviously a long ways off (accurately predicting the shape of someone's jaw, for example, would certainly be much, much more involved than determining that person's eye color), and there's no foreseeable reason that they would ever obviate the need for DNA databases — but if they did exist, what might their use entail? Could their implementation constitute an invasion of privacy, or of identity (imagine a crime that took place in a hotel room teeming with viable genetic evidence from dozens of people)? Would such technologies make you feel safer, or more vulnerable?